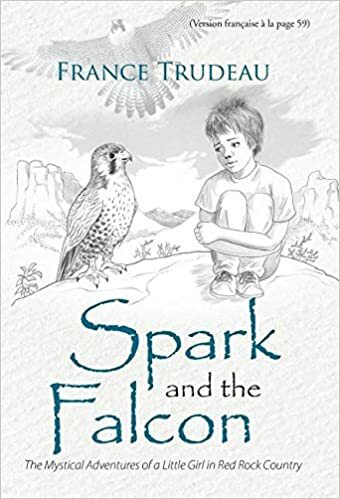 In this story about a young girl named Spark and her friend Falcon set in the Sedona valley, the author brings to life for young readers the awe, mystery, beauty, and joy found within all of nature in evocative language that both feeds the imagination and nourishes the spirit. Although this story is intended for young readers, adult readers will also enjoy this beautiful, mystical tale. Spark's joy of being in nature, whether through play or contemplation, brought her to Red Rock Mesa and her solid friend Rock. This is where she also met a special bird, full of wisdom: Falcon. France is one of our Forum members. It is a neat book, actually two books, one in English and one in French. It is available in e-book, softcover and hardcover editions. And one of Dennis' photos of Princess is used in the book and on her Facebook page. I will place my order tomorrow. I spoke to McNally Robinson about this placing an order for this book. They will order this book with a deposit. The book should arrive within two to three weeks. A deposit can be made in person or by phone/ online using a credit card. Just wanted to share. I will be placing an order. After I read it, I will either pass it to a relative or to a school library. In the past, I have bought books and donated them to a school library. This looks like a wonderful book for an elementary school library! I am going to recommend that it be purchased by the school I taught at, prior to retiring.